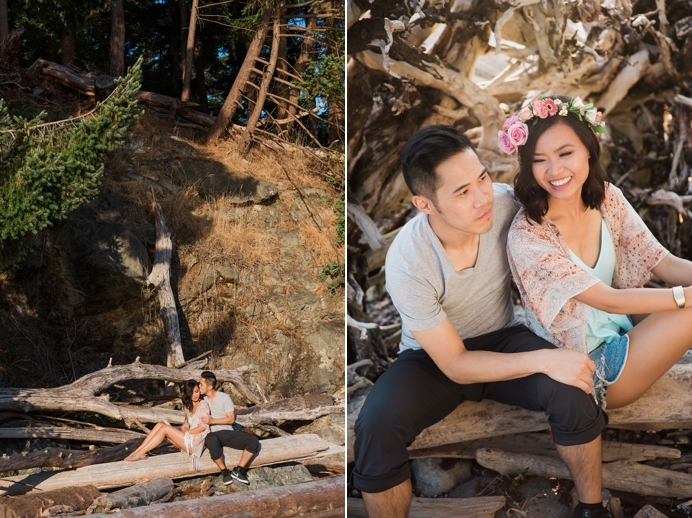 This is a Whytecliff engagement session I photographed this summer with Quynh + Tai on a warm summer evening. 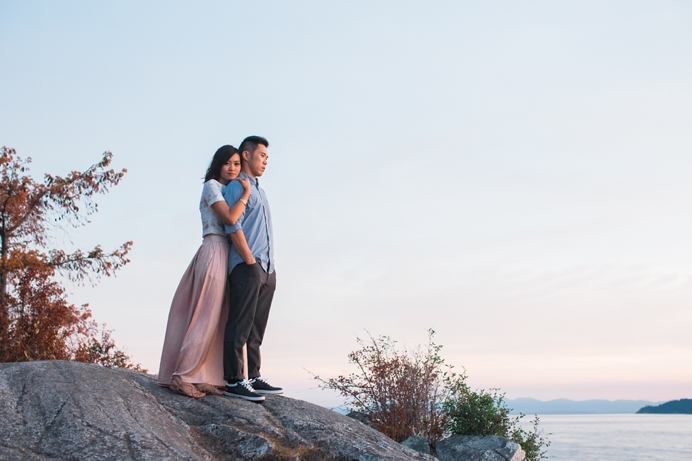 They are a beautiful couple who moved to Vancouver from the American East Coast to work at one of the top clothing companies in the world. 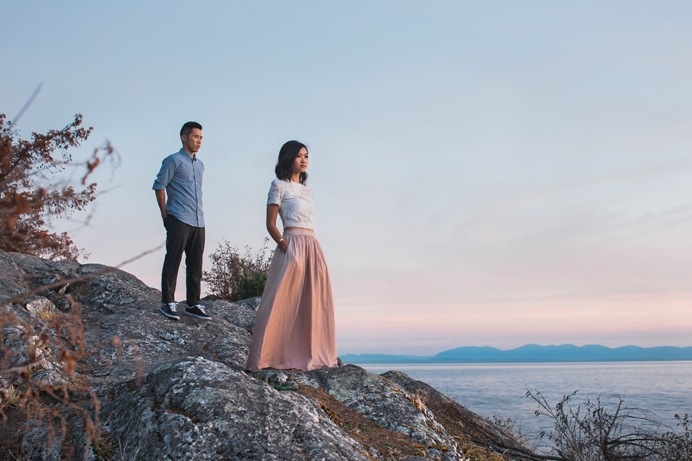 It’s so rare to hear that Vancouver is well known for an international brand, but Quynh + Tai quickly reminded me of their company. 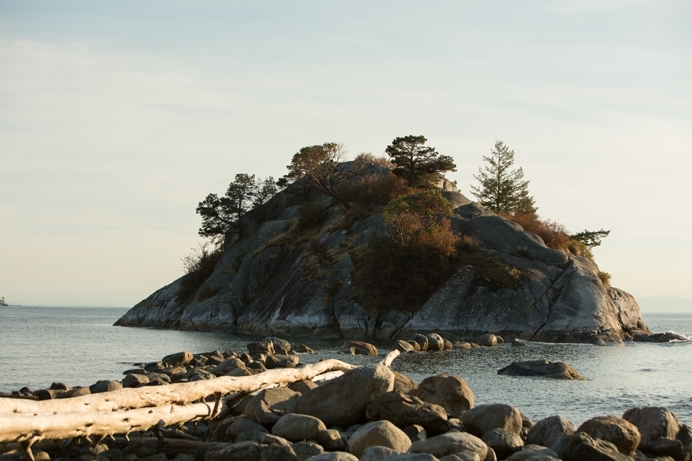 Whytecliff Park has a cool island connected by a rocky bridge that is only accessible when the tide is out. 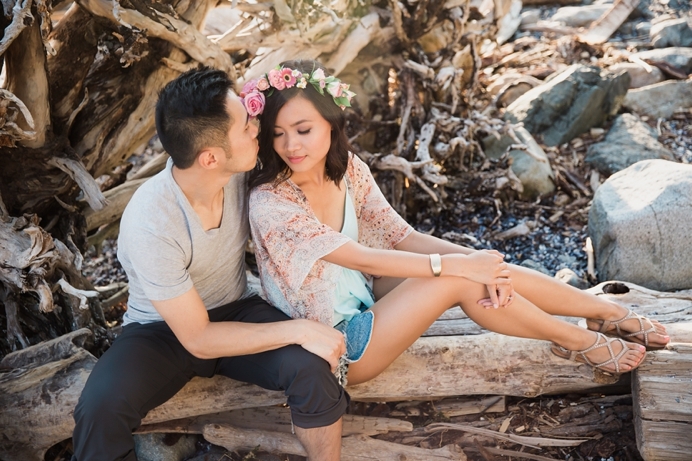 When we arrived, the tide was starting to come in, so our time along the rock bridge was limited. 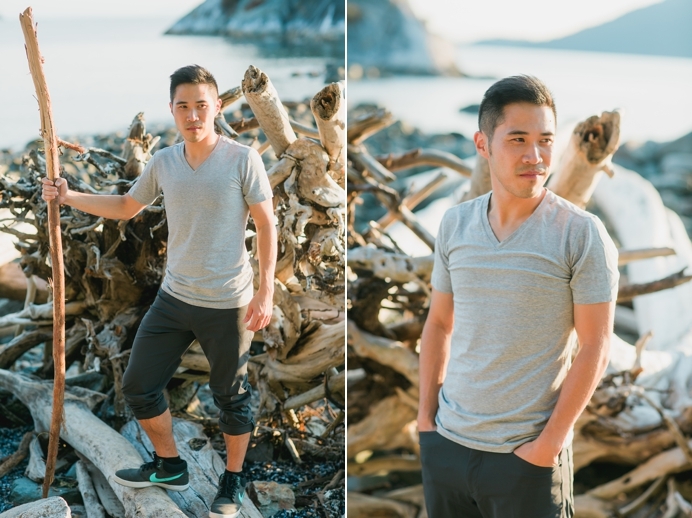 This summer evening gave us amazing warm light to work with, producing rustic brown tones and contrasty images. 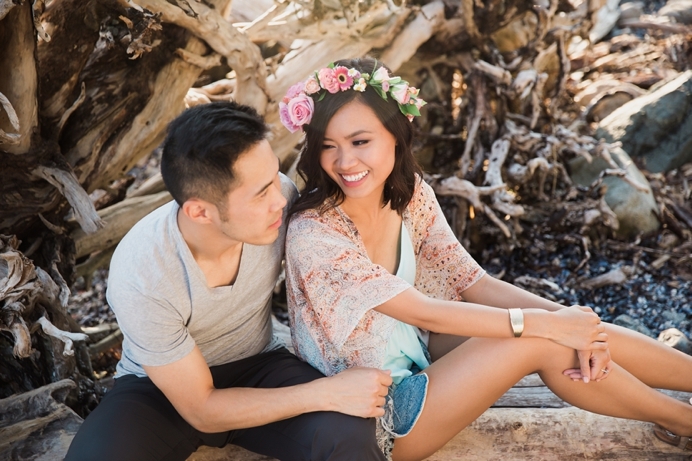 As the sunset approached, Quynh and Tai watched the light descend behind the rocky cliffs. 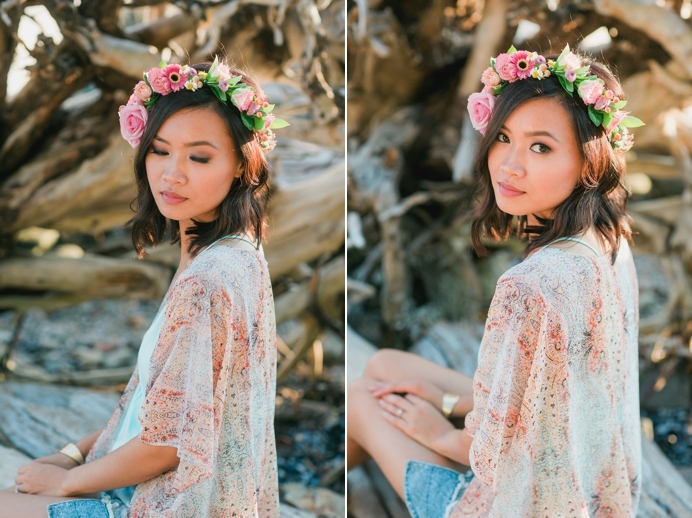 Quynh wore a beautiful floral hairpiece, which I loved photographing. 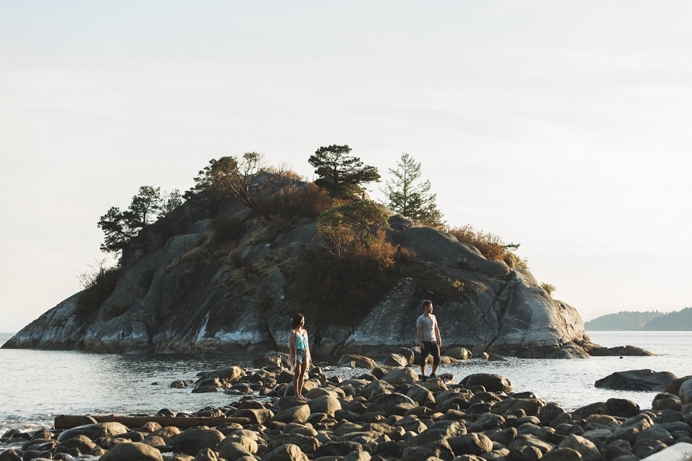 They dipped their toes into the warm waters around WhyteCliff Park and walked the rocky beach together during our engagement photo session. Then came time to climb the cliff and chase the descending sun. 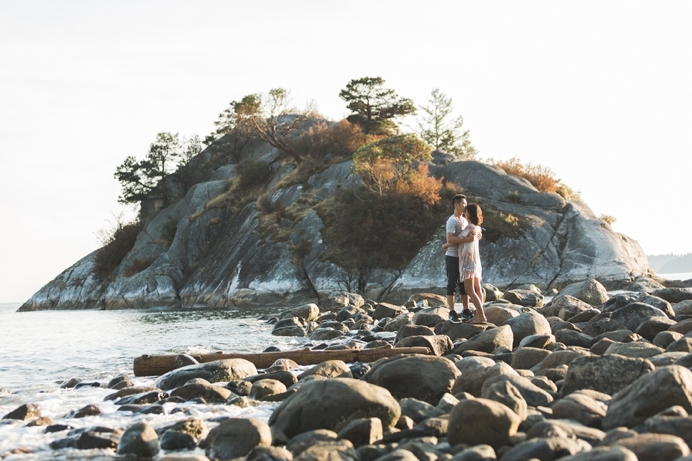 But before that, a little dance and romance on the rock cliffs. Then we approached the west side of the cliffs and witnessed a couple of kids being dared to dive into the waters to an awaiting boat. They jumped. 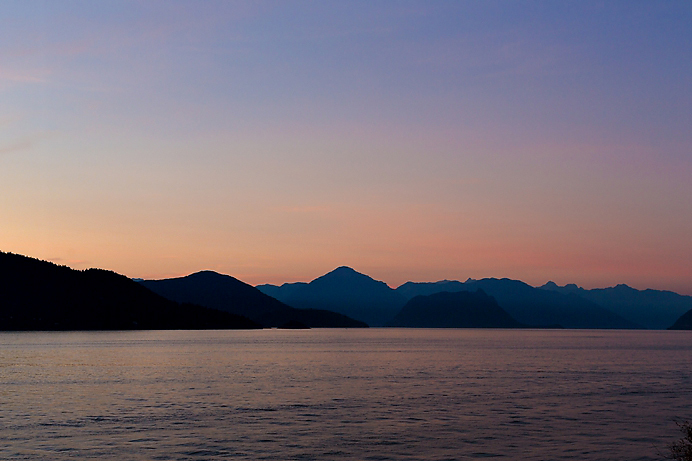 And we admired the west coast sunset and a passing sailboat below. 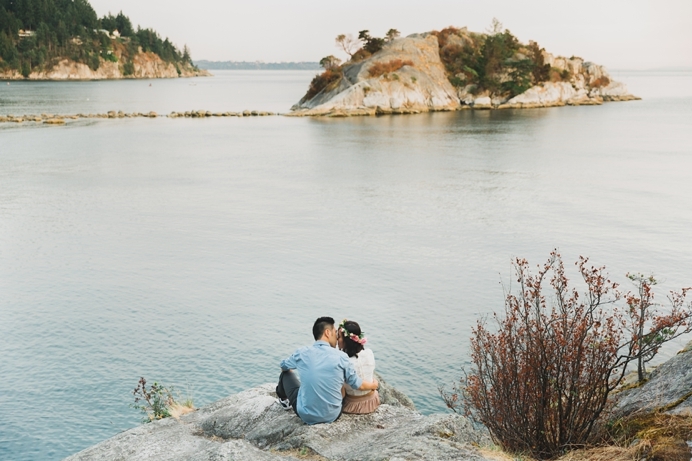 As summer ends, it is photographs like these that I hope will remind them of the beautiful summers we have along the West Coast. Very clean pictures. 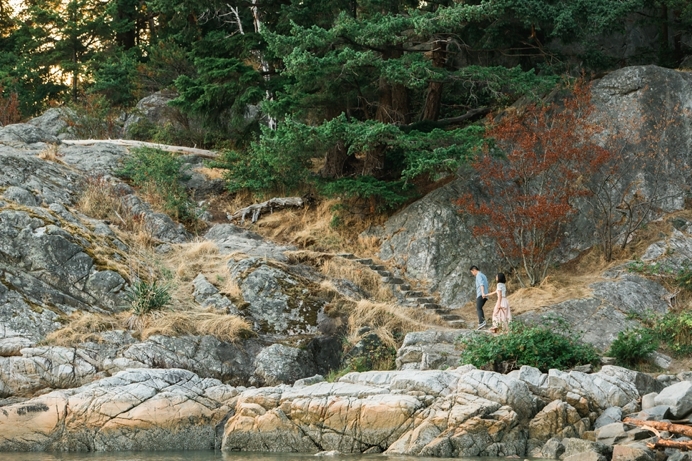 I’m shooting a wedding here this Saturday and am looking forward to some similar shots – well, with the rain too! lol.